If your business is in a place where you have a good volume of passersby, then one or more PVC banners could be worth their weight in gold. For a small initial outlay, you could be exposing your services or promotions to very large numbers of people for a relatively inexpensive price. To learn more, read on. What About Advertising in a Local Magazine? To give you an idea of what we mean, consider the typical cost for a quarter-page magazine advertisement. Typically, that will cost you anywhere from £150 to £350 per insertion. That’s for a magazine with a readership of 6,000-12,000 people. The downside, though, is that magazine readers are bombarded with information. It can be next to impossible for your ad to gain the attention of even a few of those readers. That’s because it’s down to the individual reader what catches their eye and what they decide to look at. That’s not to say that magazine advertising doesn’t work incredibly well for some businesses. However, it does take time for momentum from magazine ads to build. You’ll probably find that you need to do several insertions. And remember, each of those insertions comes with a hefty cost. What’s more, it could be a while before you start to see a steady return. How Does That Compare with the Cost of a Banner? On the other hand, a PVC banner is much more cost-effective. With a single shot, you have the potential of reaching large numbers of people within your target audience. It’s a no brainer, really. Keep in mind that with PVC banners, location is key. However, with the proper placement, you could reach high numbers of people in your target market for a very low cost. 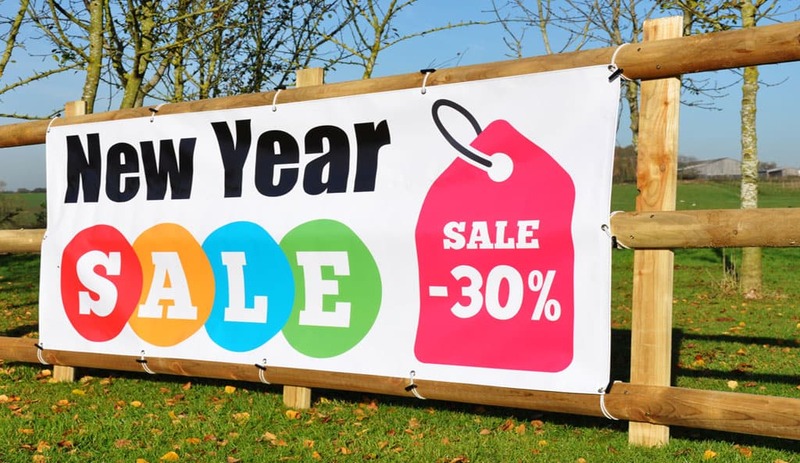 For example, 8-foot by 3-foot printed banners from HFE Signs cost only £45 plus VAT. Plus, when you order 2 or more banners, you’ll get free UK delivery. And the design setup is free as well. Okay. I’m Listening. Is There More? A printed banner is going to last much longer than a week or a even month. In fact, PVC banners can last years! However, we recommend that you change your banner every 3 months for best results. Changing things up keeps people engaged and keeps your advertising efforts from going stale. PVC banners are a tried and tested form of advertising. They are used by countless businesses and organizations to promote a huge range of activities, deals and promotions. What’s more, outdoor advertising works incredibly well in general. That’s because the reader is not as distracted as they might be indoors, especially in an office environment. Considering that you have the potential to reach out to a mass audience for a very small investment it’s certainly worth a try. What If My Budget Is Really Tight? To find an example, use the drop-down selection box on the HFE website. Mono banners are pretty simple. They consist of black text printed onto a white banner. The quality is exactly the same as a full-color banner, but the price is 30% less. What About Artwork and Design? Design and artwork can be a stumbling block for some businesses. Luckily, HFE has a team at hand waiting to do the legwork for you. Furthermore, this service is free of charge. Simply let the HFE team know your requirements and give them an idea of the design you have in mind. Then, one of their team members will work their magic while you get on with the business of running your company. If you’re still not convinced, read HFE’s excellent TrustPilot reviews, with 5-star reviews from more than 2,000 happy customers. The folks at HFE Signs have been printing banners since 1996. They are considered the UK’s number-one supplier for mail order printed signs and banners. That’s why you should keep an eye on the HFE home page. There you will find a new monthly offer on the first day of every month.